Hello everyone! I took these pictures the other day when the weather was sunny and warm and I felt like wearing an all-white look. I was wearing a white top with a sheer panel, white palazzo pants, a statement necklace, a salmon pink clutch and black high heels. Olá! Tirei estas fotos o outro dia quando estava sol e calor, e apeteceu-me usar um look todo branco. 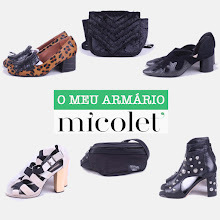 estava a usar um top branco, umas calças largas brancas, um colar, uma clutch salmão e sapatos de salto alto pretos. Totally inlove with your outfit!! you look very pretty! You look gorgeous!! That top and pants make it look like a playsuit but they go so well together! You look fabulous with white!!! Me encanta el look! Es genial este total look black. El collar es precioso. Amazing outfit!!! You look so chic and elegant, the necklace is divine!! Que gira! O look esta espectacular mesmo. Amazing! I've been wanting to try an all-white outfit! Love your necklace! Estavas deslumbrante.Gostei do total white look e da elegancia classica desse outfit! Simply elegant and chic. Love it!! wow...classy...Love the necklace as well..
Love, love, love this look , your are very beautiful like the look !!! Esse look ficou giro, giro ;)!! adorei! grita estilo por todos os lados! I am craving this top for a while now!I can see it looks great! I think it's one of the best look on you blog! Amazing outfit! You look so beautiful! Wow, this looks stunning! Love love love your necklace! um look super elegante e lindissimo! Such a sensational look, dear! Amo este look! É perfeito!